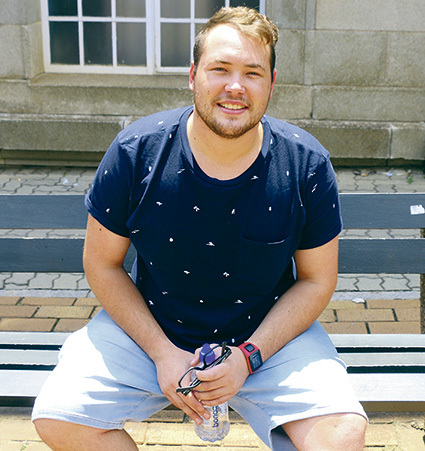 TWENTY-ONE-year-old, clinical psychology honours student Ryan Bateman is an ordinary student by day and an international award-winning karate kid by night. He says karate has taught him to always “get up and move forward”. Wits’ own karate kid sat down with Wits Vuvuzela and this is what he had to say. Bateman has been doing karate since he was seven years old. “I started because I liked the movies and then just fell in love with karate,” he said, reflecting on his 14-year journey with the sports. As a boy, he was intrigued by the likes of Jackie Chan, Scott Adkins and Kung Fu Panda whom he described as “strong and funny”. Bateman decided to follow the paths of the characters he admired and he now holds the title of the 2015 World Championship Cutter which he won in Cancun, Mexico. He has his sights set on competing in the 2020 Tokyo Olympics. “I hope they recognise karate as an Olympic sport so we can compete for more people to know about it,” he says. Bateman says being a karate champion doesn’t come without its downsides. “People want to fight me a lot when they find out,” he laughs. He has come a long way from his younger days when he would “hide and cry in his room” anytime he had been beaten up. “Looking back at it, I feel like I’ve grown a lot,” he said. He will be travelling to Port Alfred, Eastern Cape, to compete for his provincial colours at the end of March 2017.